The 2019 Language Show is looking for speakers, teachers and performers. 1. Seminars for language teachers – especially those working in secondary and primary. 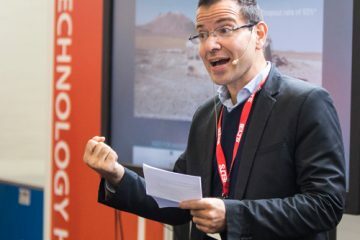 Talks that offer insights into resources, ideas, techniques and strategies to enthuse, engage, educate and motivate students. 2. Seminars for learners and language professionals – ways to learn and improve. Languages in careers, celebrating, utilising and enjoying language skills. 3. Language Tasters – taster classes in over 20 languages aimed at beginners in those languages. 4. 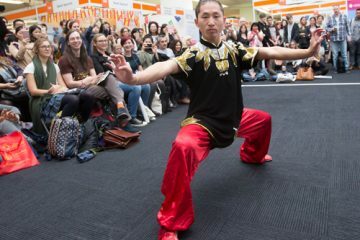 Cultural performances – performances, demonstrations, presentations and experiences that help immerse, and offer a glimpse into, foreign cultures. From music and dance to talks and discussions. (Seminars, presentations and performances to last 45 minutes, taster classes 30 minutes. Seminar rooms seat 200 theatre-style and are equipped with projector, screen, podium, laptop, microphones, loud speakers or in the case of silent seminars, audio transmitter for broadcasting via RF headsets. Taster class rooms seat 50 and are equipped with microphone, speakers and presentation board. Performances take place in the Piazza with seating for 100 and additional room for standing). Entries close May 10th – send us your nomination today! Please use the form below, the earlier the better. Any questions, email us at info@evolved-events.co.uk. We look forward to hearing from you. (As admission to the show and all sessions are free to visitors this year, unfortunately there is no opportunity to pay speakers and performers).